Providing the best possible service for our customers is vitally important to us, we’re always looking at new ways to enhance your shopping experience. To improve our current pick-a-day service we’ll now be offering a superb 48 hour delivery* service! Your shed, fence panels or garden storage box could be with you in just two short days! Our 'Pick a Day' option is available on a variety of products and as the name suggests, allows you to pick your delivery date. These dates are usually weekdays. If you don't take this option then the manufacturer will contact you with your delivery date. This service is available for shed delivery to most mainland UK addresses. Once you have added a product to your basket, you will see a screen similar to that below. 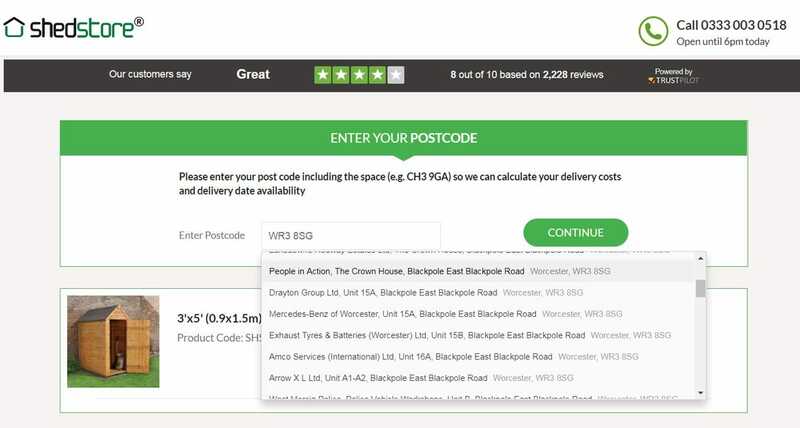 You will need to enter your postcode and select your address from the drop down selection. 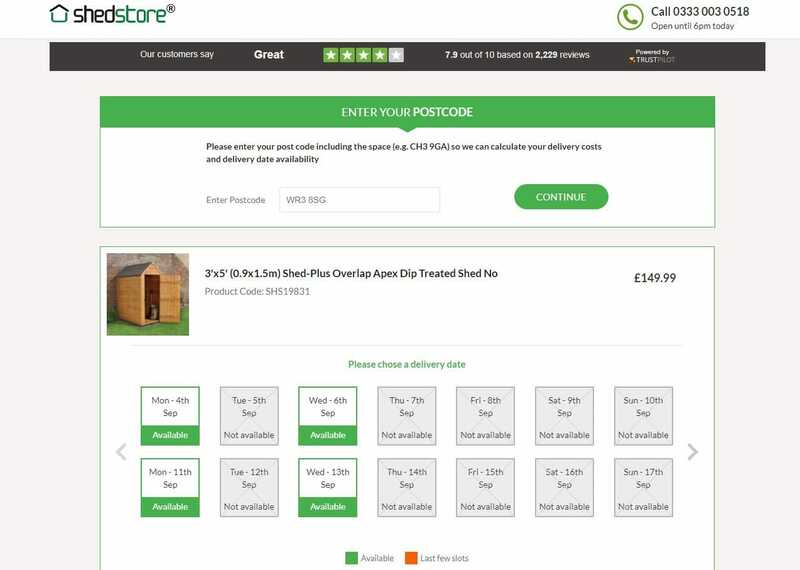 If your product qualifies for Pick A Day delivery you will be see the screen below. Simply click on the date which is available and convenient for you. Any surcharge will be indicated. 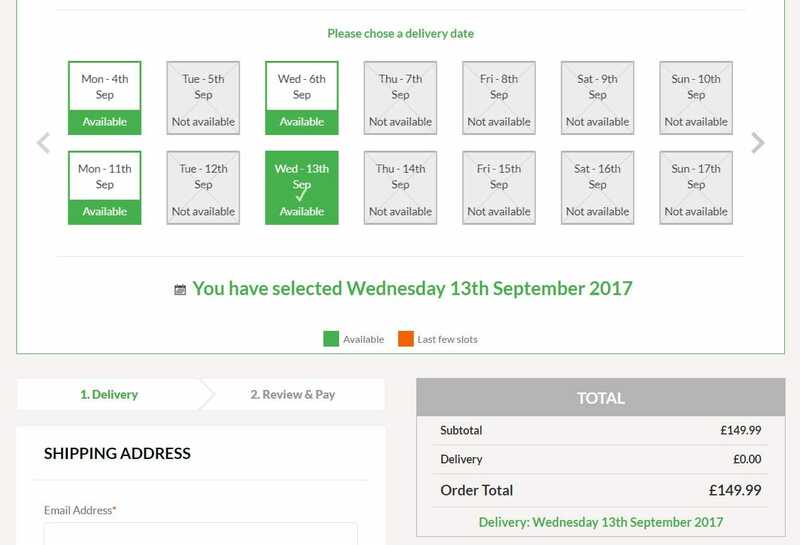 When you have selected the date you will be given a summary of your total and will be shown the Delivery Date you have selected. It is as simple as that!